How Good is our Australian product? 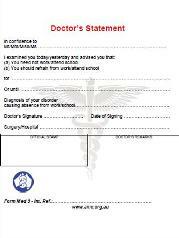 Our notes are exact replicas of sick notes issues by doctors in Australia. Note: these sick notes take 4 to 5 working days to arrive in Australia- many of our Australian clients order blank spare sick notes, so they have one ready for when they need it. Choose from Doctors at medical centres in North Sydney, Sydney city centre, Melbourne - or any other area in any city or town in Australia. Australian Customers also get a scan of their sick note by email within 24 hours of payment!